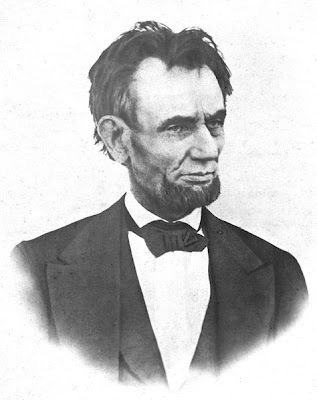 On February 12, 1809, the 16th President of the United States, Abraham Lincoln, was born in Hardin County, Kentucky. Lincoln came from a poor area and poor family. It is inherent in the nature of sovereignty not to be amenable to the suit of any individual without its consent. This is the general sense and the general practice of mankind; and the exemption, as one of the attributes of sovereignty, is now enjoyed by the government of every State in the Union…. The contracts between a nation and individuals are only binding on the conscience of the sovereign, and have no pretensions to a compulsive force. They confer no right of action, independent of the sovereign will. To…authorize suits against States for the debts they owe…could not be done without waging war against the contracting State…, a power which would involve such a consequence, would be altogether forced and unwarranted. A Union of the States containing such an ingredient seemed to provide for its own destruction. The use of force against a State, would look more like a declaration of war, than an infliction of punishment, and would probably be considered by the party attacked as a dissolution of all previous compacts by which it might be bound. In defending the individual right to bear arms embodied in the Second Amendment to the Constitution, Madison invoked the right of armed secession. Any people anywhere, being inclined and having the power, have the right to rise up and shake off the existing government and to form one that suits them better. Nor is this right confined to cases in which the people of an existing government may choose to exercise it. Any portion of such people that can, may make their own of such territory as they inhabit. More than this, a majority of any portion of such people may revolutionize, putting down a minority intermingling with or near them who oppose their movement. What happened to Lincoln after he was elected President? What made him decide to invade the southern states instead of allowing them to secede? The North could have survived as a thriving country without the South. What was it that changed Lincoln into a man that desired to destroy States Rights and the sovereignty of the individual States? Why did he want the federal government to have all power over the sovereign states? Did you know that before the Civil War when referencing the US, the appropriate phrase was, ‘The United States are’ instead of ‘The United States is’? Our government didn’t just change in the past generation. It changed during the 1860s when Abraham Lincoln used the power of the military to stomp out the freedom of the Southern States. Don’t misunderstand me, I’m not advocating that we still have slavery in this country, but why did we have to fight a civil war to abolish slavery? Dozens of countries managed to end slavery without civil war. Why didn’t we? Slavery was not the reason for the Civil War. In 1831, long before the War between the States, South Carolina Senator John C. Calhoun said, ‘Stripped of all its covering, the naked question is, whether ours is a federal or consolidated government; a constitutional or absolute one; a government resting solidly on the basis of the sovereignty of the States, or on the unrestrained will of a majority; a form of government, as in all other unlimited ones, in which injustice, violence, and force must ultimately prevail.’ The War between the States answered that question and produced the foundation for the kind of government we have today: consolidated and absolute, based on the unrestrained will of the majority, with force, threats, and intimidation being the order of the day. Today’s federal government is considerably at odds with that envisioned by the framers of the Constitution. This is the true legacy of Abraham Lincoln. I think you way off on this one. The entire base of this post is illogical. First the south started the war. I am fairly certain that protecting the country from all enemies foreign and domestic is constitutional. Secondly Lincoln favored minimal government handling of reconstruction. I have read a few other posts and they have been goos but this one is way off base. Thank you for your comment and I'm glad you like my writing, except for this one. I will try to persuade you to like this article, as well. The South fired the first shot because they knew the North would not allow them to leave the Union without a war and if Lincoln had held to his original opinion about secession, there would not have been a war. As far as upholding the Constitution, Lincoln suspended the writ of habeas corpus. This allowed him to arrest and imprison anyone that disagreed with his war effort and even his domestic policies. I have not gleaned all of my information from The Real Lincoln although I quoted it in the original article and in this reply to you. I have watched untold hours of C-SPAN and have seen Lincoln scholars talk about him. They have told about Lincoln doing the things I've just mentioned and much more. We are taught, from childhood, that Lincoln was the best president and the best man to ever hold the office. I don't hate Mr. Lincoln but he was no saint and did damage to our country. The Union is still together and he can be credited with that but, at what price? As you see, we are a nation divided today between the ones that desire small, Constitutional government and the ones that desire a government that will supply their every need. It would be fair to say we are in the midst of a great Civil War but, thankfully, no one has fired the first shot. Are All Rich People Goofy? Democrats Must 'Toe the Line' or Else!